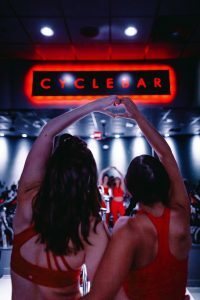 Home Events	Smarty Alert: FREE Classes at CycleBar Waverly February 5-10! ‼️FREE FREE FREE‼️ Nothing better than a free ride week at our favorite bar in town, CycleBar! 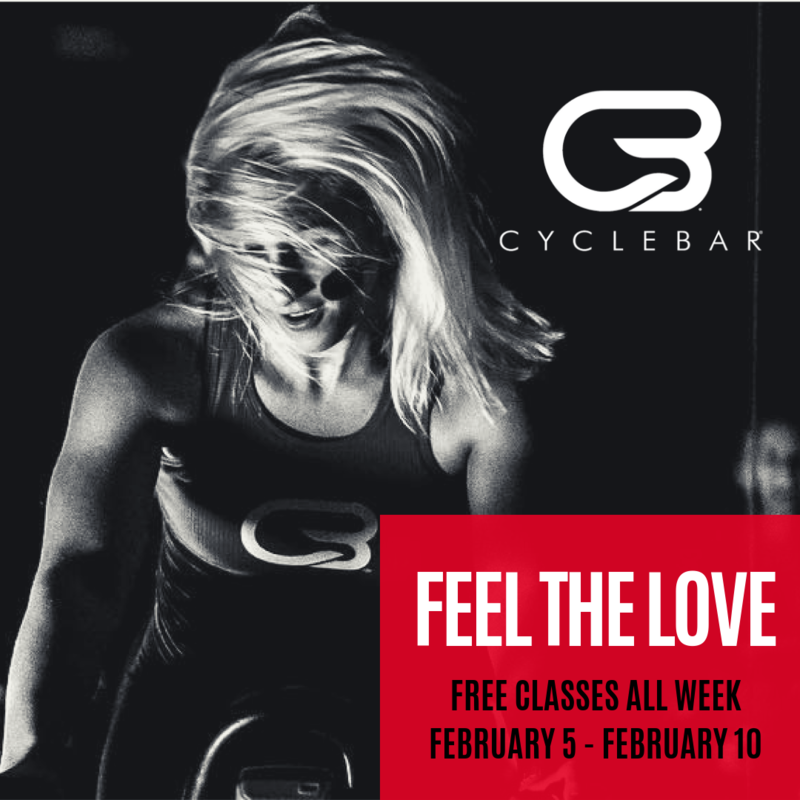 Our Smarty friends at CycleBar Waverly are offering FREE RIDES all week next week from February 5th-10th for their “Feel the Love” event. One of the most important parts of a fitness studio (in our Smarty opinion) is the staff and instructors. 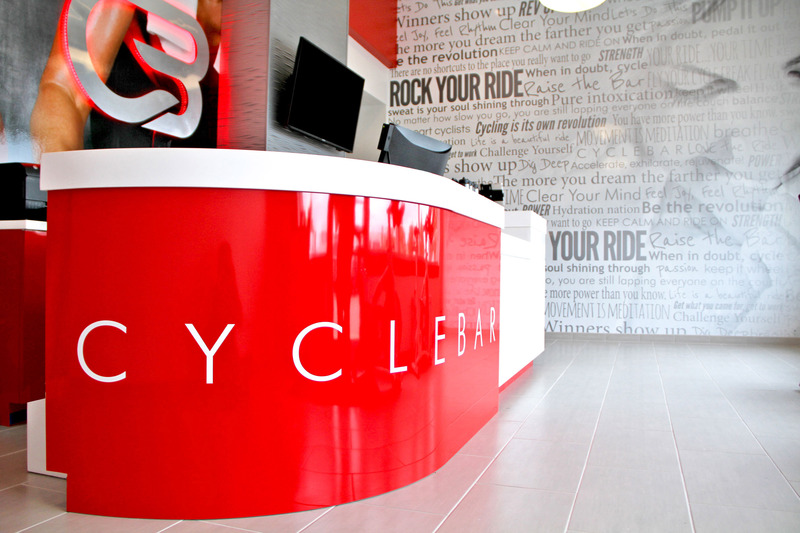 CycleBar has, hands down, the friendliest, most welcoming staff and Cyclestars (their instructors) in the QC. We love that they call you by name to encourage you in class; we love the warm atmosphere and community focus; and, we love how good we feel after class (especially after a couple of swipes of those post-workout fresh body wipes in the community room! #smartymust). 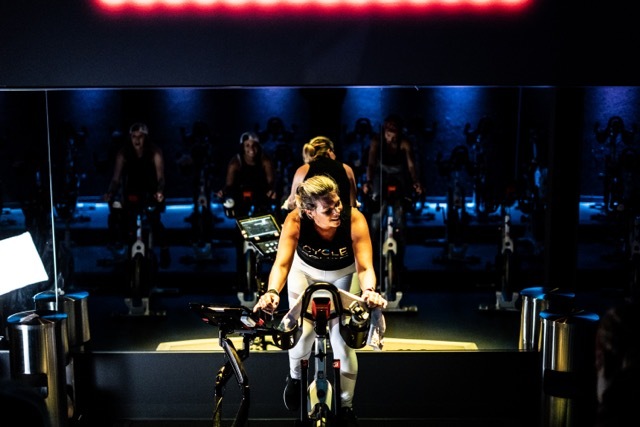 Not only is CycleBar super friendly, but they’ve got some serious technology to help you perform your best every single class. Their theatre has incredible lighting, amazing sound that they call ‘cyclebeats’, and state of the art technology that provides riders with real time class stats. Classes are a 50 minute full-body sweat sesh full of energy and positivity. Cyclestars guide you through class to not only be working at YOUR best, but to also be mindful and centered. We absolutely love this “zen” twist on spin! And get this, when all of your workout stats hit your inbox after class, your ride’s playlist is included – how fun is that?! Trust us. The second you step into the studio, you know you’re in for a treat. 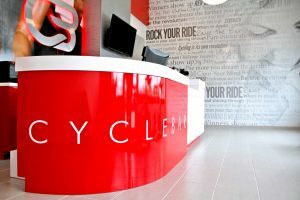 They’ve got top of the line amenities including water bottles, towels, fresh fruit, those amazing body wipes, and more every time you walk in the door (shopaholics take note: CycleBar apparel is GORG!). You will feel motivated, a part of “it,” exhausted, and accomplished – both mentally and physically – when you leave. -Free classes all day, everyday from 2/5 – 2/10! -No limit on how many rides someone can sign up for!